Rugged, accurate and economical, the 1095A/C GPS Industrial Clock Module from Arbiter Systems®, Inc. is the engineer’s choice when flexibility, precision and physical durability are required. 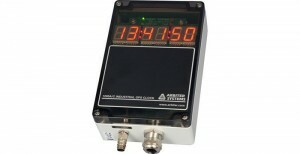 The 1095A/C precision time clock is a low cost unit capable of driving common timing signals such as IRIG-B, 1PPS and RS-232 serial time codes, with < ±100 ns typical accuracy. The compact, rugged enclosure can be mounted in multiple ways, making installation fast and secure. Ideal for outdoor applications, the 1095A/C is capable of performing when other units fail, operating between -40 °C and 85 °C. 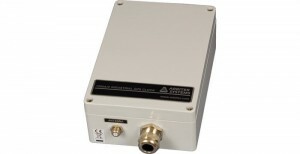 Four configurable outputs support substantial drive capability, allowing a single unit to drive multiple loads in parallel.The 1095A/C maintains the real-time clock, almanac and ephemeris data powered by a backup battery in the case of power loss, reconnecting to the satellite signal in as little as 15 seconds. The built in Event Capture function means the unit records key events related to data received from the input options, with 100 ns resolution.Choose between the external and internal antenna options to best suit your installation environment. Accuracy Note Specifications apply at the 1 PPS output, IRIG-B Level-Shift and Programmable Pulse outputs, with US Department of Defense Selective Availability (SA), as of date of publication. Four Total: three high-drive 5 Vdc (250 mA at > 4 V), one analog (4.5 Vpp), terminal strip connectors. One opto-isolated event capture input with 100 ns resolution, terminal strip inputs for 5 Vdc to 12 Vdc, 24 Vdc to 48 Vdc, and 120 Vdc to 240 Vdc nominal input. Two programmable pulse outputs (5 Vdc), PPA and PPB. Aux IRIG Mode provides an additional unmodulated IRIG-B signal on the PPB output. One, Form C (SPDT) fail-safe, 0.3 A at 130 Vdc; jumper selectable to Fault, Out-of-lock, Programmable Pulse A (PPA), Programmable Pulse B (PPB), Stabilized, and Event-In functions. Fail-safe means the relay indicates ”fault” or ”unlocked” condition with power off. RS-422/485 Transmit only, to drive multiple devices. Available Signals include: Serial Port 1, Serial Port 2, IRIG-B, PPA, PPB, and 1 PPS. Voltage 9 Vdc to 30 Vdc, 3 W maximum; negative common; 3.81 mm pluggable terminal strip.